We are social creatures. The need to share and connect, to learn and grow because of each other is fundamental to our wellbeing. The act of fulfilling this need is what it means to inspire. To inspire is to influence, and though we can be inspired while alone, it is a circuit only half complete until we share with another in a meaningful way. 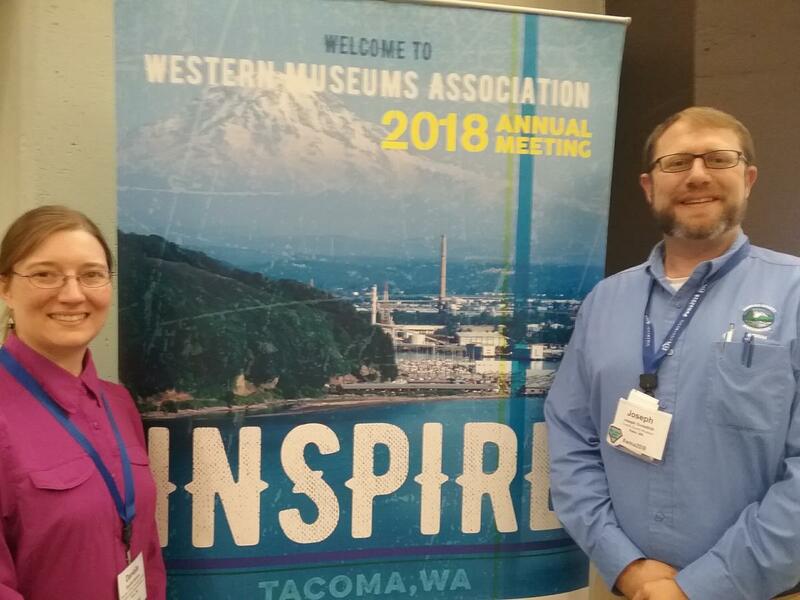 It was this kind of sharing that drove the 2018 Western Museums Association conference. This was my first time at WMA and my second museum conference during my nine years in the field. At the state level conference I attended in 2011, I was very much an emerging professional trying to find my footing. Now, being on the cusp between an emerging professional and a mid-career professional, I came full of hope to branch out, meet my colleagues, and discover, “where do I go from here?” while staying firmly rooted in my home community. The chances provided to network at the conference were essential to this. The opening reception, networking and affinity luncheons, marvelous evening events, and even the breaks were all wonderful opportunities to engage new acquaintances. I was so pleased at how easy it was to start a conversation with a simple introduction. Many of those I met were from larger museums, but rather than feeling too small in too big of a pond, it was uplifting to be surrounded by people who genuinely enjoy what they do. I would encourage anyone attending WMA in the future to be bold and just say, “Hi” to someone new at every chance. The resulting conversations, and in some cases, new friendships that result are very much worth the risk of putting yourself out there. I’m speaking to my younger self in particular here. By far, what I was most looking forward to were the sessions. I came hoping to tackle my personal area of weakness to make it a strength, and chose sessions accordingly. What I did not expect was to come away thinking about how to do the same for my home museum. We all want to reach new audiences that our institutions have tended to neglect in the past, so how can we leverage our weakness as an opportunity to reach out? Throughout the sessionsI attended, I was reminded time and again that asking for help is an opportunity to give ownership, to invite people of the community to consider themselves a much a part of the museum as we are of them. By asking, “What can I offer and teach,” in equal measure to, “What can I receive help in and learn,” we can create new connections that make our museums, our communities, and our world better than before we reached out. I’m speaking to my current self in particular here, and asking that I don’t walk away and forget the things I learned from my brave and bold colleagues who shared at WMA. I am truly grateful for the chance I had to attend WMA this year, not just for what I take away, but for what I bring home. The connections made, the sessions attended, and the ideas we shared all become pieces of a larger circuit when we go our separate ways, spread out each to our own communities, and use the influence we’ve had on each other to inspire. Let’s light up our world! Danielle Robbins was a recipient of WMA's 2018 Wanda Chin Scholarship. 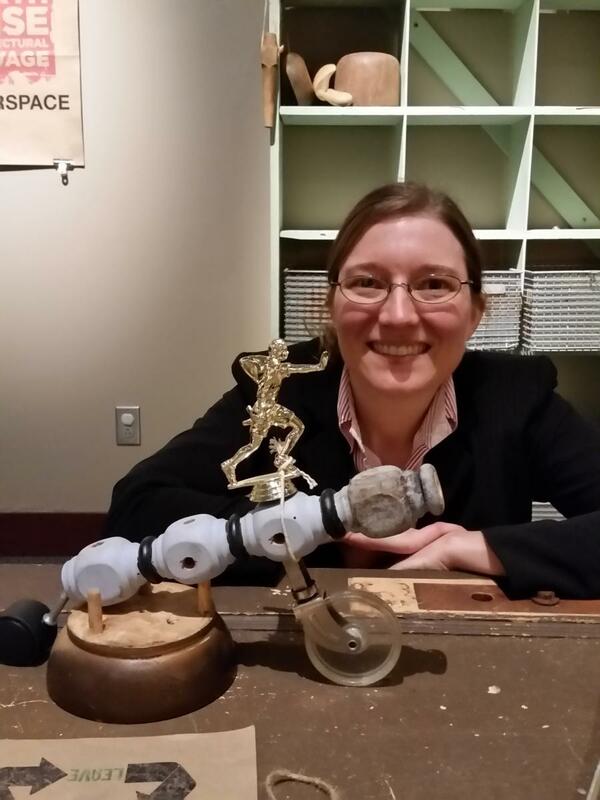 She is an Education and Public Programs Coordinator at the Cowlitz County Historical Museum in Kelso, Washington. She completed her B.A. in History and Museology at Central Washington University. As a museum professional, she is eager to continue to share her passion for children and her community as a whole to enjoy learning about history.